This week, Fifer and Lackey jump Through the Gates of the Silver Key and discover they are both aspects of the same archetype (along with Charo and Carrot Top) . This week’s reader is none other than the amazing Lance Holt! Don’t forget to pick up Reber Clark’s excellent score for our Call of Cthulhu reading – available here now! The one thing I was thinking all through this story was DOCTOR STRANGE. I loved it! EUREKA!… Really I was looking forward for this one. It is Lovecraft at his best, no matter if it is a collaboration with Price. It is not Cosmic Horror… It is Cosmic Revelation. Great work, guys. A hard story to tackle (you’re right about needing to go through line by line) but you did it admirably. This was actually one of the first Lovecraft stories I ever read – which in retrospect was a mistake. And congrats in advance, Chris. You guys just blew my mind. No really, my brains is splatter on my wall. The clock sounds like the one Titus Crow used. In fact if I recall, Titus got his from Carter somehow. Brian Lumley stories. Kids are great, but I don’t think I could eat a whole one. No baby yet. But he’s due on Monday so any day now! One of the best shows. I really dug this one. Thanks for the mention of my new music for The Call of Cthulhu. You can listen to entire tracks and download it at reberclark.bandcamp.com (worldwide) or at amazon.com (US only, I believe). Chris I know you and Rachel are on pins and needles so to speak – it will be a great day, enjoy it all! Best to you guys. The presentation of Yog-Sothoth in this story, and the denial of the “malignancy” of the Old Ones, just proves that Lovecraft wasn’t trying to build a coherent mythology. He really didn’t care what he said about Yog-Sothoth in “The Dunwich Horror” or “Charles Dexter Ward”; this is a different tale, with a different take on these things. Practically all of his monsters come in for similar retconning throughout his fiction. Cthulhu goes through a demotion from leader and High Priest of the Old Ones, to a cousin of the Old Ones who can barely even see them, to just another member of another alien race. Nyarlathotep may be a crazy scientist, a shape-changing representative of the Other Gods, an Egyptian deity, the “Black Man” of the witch cults, or the mask-wearing leader of the Mi-Go. In other news: Lance Holt really outdid himself this time, and this was a great show. Lance’s work was excellent BTW. Very focused and right on the money – it worked extremely well! I couldn’t stand this story. There were pages and pages of stuff that just made my eyes glaze over and all I could think was, “How much longer is this story?” Obviously it’s all subjective, but to hear a story that one likes (like “The Strange High House in the Mist”) get savaged and to hear this story merit a pretty good amount of enthusiasm just stumps me. The twist, even though it is fairly obvious early on (in true Lovecraft fashion), was good, but most of the stuff in between was so dense that I have no desire to ever read it again. Loved Lance Holt’s characterization of Aspinwall, but hated the story itself. I really enjoyed this one. Usually anything about the philosophical aspects of Lovecraft’s work is great to hear discussed. I’m also looking forward to the Winging Death, it may be one of my favorites. Thanks a lot guys, keep it up like always. I think the coolest, most mind-blowing thing about Lovecraft is that it took at least 30 years for theoretical physics to catch up to his ideas, and another 30 for them to start understanding things the way Lovecraft did. The All-in-One and the One-in-All (quantum entanglement, inflationary cosmology), the hidden corners of reality (the “smaller dimensions” we can’t perceive), multi-dimensional perception (how something from a “higher” dimension would appear to our limited senses), so much more and it’s all endlessly fascinating! The Randolph Carter stories are some of my favorites. I guess I like them all though. Anyway, I wanted to thank everyone involved for providing some intellectual stimulation which is so hard to come by these days. I was hoping you guys would have spent some more time on this story – I think it really does deserve more attention; it’s so full of awesome and bizarre images and ideas (he gives us the Ultimate Revelation – this is the thing would drive us mad and send us into another dark age), but all in all, another great show! Lance Holt was excellent, as always! This story always felt like the outline for a novel Lovecraft and Price were going to write together. There’s so much stuff in it that’s barely explored. Great episode, as usual. Best of luck to the new parents. 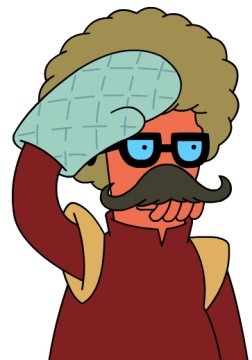 Upon hearing the initial description of Swami Chandraputra all I could think of was this great disguise http://www.gozer.org/images/hugh_man.jpg from the Futurama episode A Taste of Freedom. Winged Death is one of those Stories where, rather than impeding it, the fact that Lovecraft worked on it with another Author strengthens it by giving all the right attributes of both Author’s styles. What is so awesome about it is that You actually get scared by a little Fly possesed by an Entomologist! XD It’s a great read. I like this story, except for the way that it totally ignores/contradicts Dream-Quest, but I guess Lovecraft had written Dream-Quest out of the Randolph Carter canon by stuffing it away in his desk drawer till he died. “Through the Gates of the Silver Key” is much more a story than “Silver Key”, and it’s got much more personality and character than a lot of Lovecraft’s later, idea-driven, science fictional work. One random note about the story: Umr at’Tawil is actually the dullest name, since it literally means just “long life” (or maybe something like “the long-lived one,” if you’re stretching it) in Arabic. I wonder if Cthulhu means “the Big One” in Cthulhuvian. E. Hoffman Price was a very well-traveled guy and got into all sorts of interesting things. This story is a very happy collaboration, I think. The cosmic mystery stuff here has more than a bit of Hua Yen Buddhist perspective in it, as well as various Hindu elements. great stuff! Aww, I was hoping Chad and Chris would mention that Ward Phillips, Providence mystic and friend of Carter, is a clear stand-in for HoWard Phillips Lovecraft himself! Not that it’s particularly important, though it might be taken to identify Ward/HPL as the literal and fictive author of “The Silver Key” and a traveler of the dreamlands (after all, where did he get his stories from? ), but even as a knowing wink to the reader, it’s a fun detail. where can i listen to the whole uninterrupted reading?